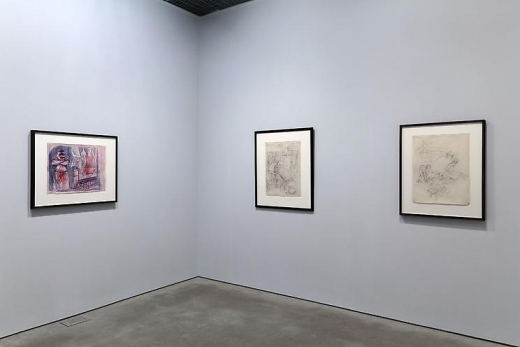 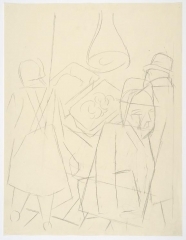 David Nolan Gallery is pleased to announce the opening of two exhibitions: George Grosz, The Way of All Flesh, which includes seven works on paper, and a group exhibition entitled Large Drawings, featuring seven works by contemporary artists. 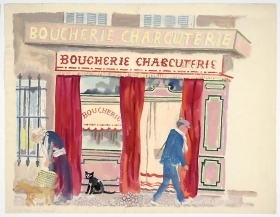 The exhibition runs until March 3, 2012. 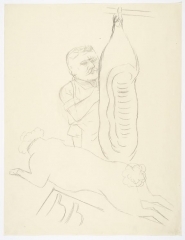 George Grosz, one of Germany’s most celebrated artists of the early 20th Century, produced a body of work centered on the theme of butcheries during his final years in Berlin, prior to his departure for the United States where he would make his home for 25 years. 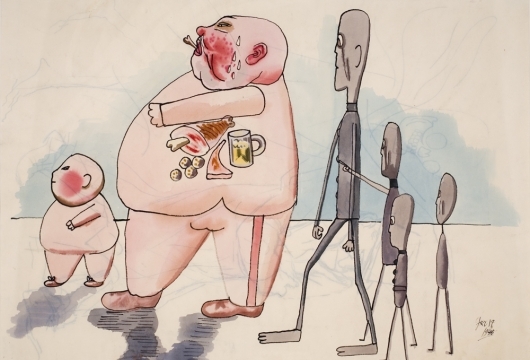 Perhaps one of the reasons why the subject interested Grosz was the precarious food situation in Germany that began after the first World War and became particularly acute from the mid-1920’s onwards. 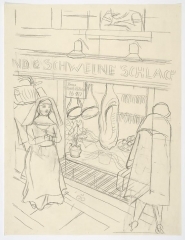 Germans, famous for their love of meat, was forced to severely ration food supplies; rampant inflation made meat a luxury. 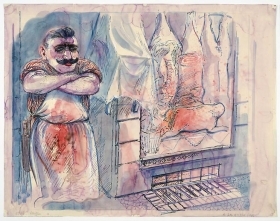 For Grosz and other artists like Otto Dix, the butchery became a metaphor for a brutalized society; instead of providing nourishment, the butcher is portrayed as a harbinger of death. 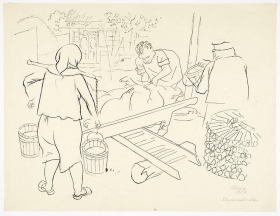 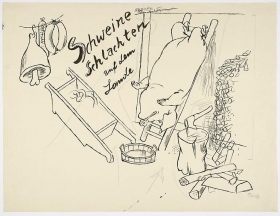 In 1931, Grosz created a series of drawings entitled “Pig Slaughter in the Countryside” that was illustrated in Frankfurter Illustrierte magazine. 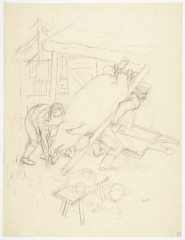 For those who were able to see these illustrations, the scenes of pig must have been a fever dream. 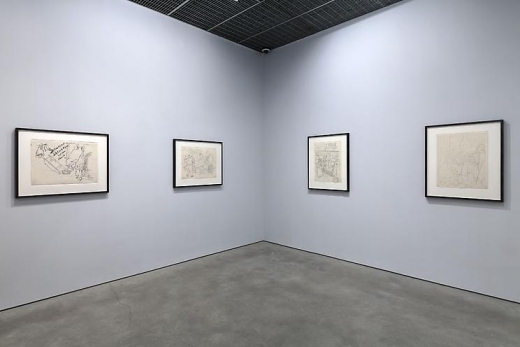 On view will be works from this series as well as others. 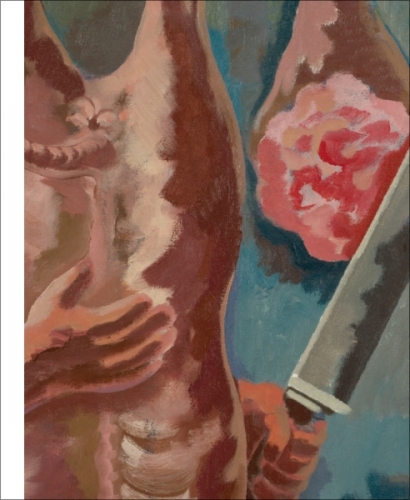 A catalog published by Galerie Nolan Judin, Berlin, accompanies the exhibition.